Registration opens March 15 for the summer 2017 sessions of Illinois Central College’s popular College for Kids program. 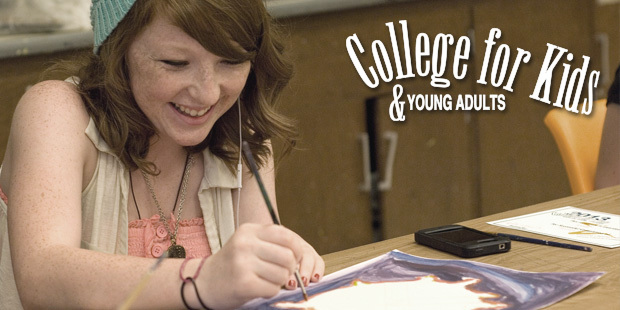 The summer program features classes for students entering 4th through 12th grades. Session 1 runs Monday –Thursday, June 12-22 and Session 2 runs Monday ─ Thursday, July 10-20. Additional off-site Friday Fun Trips are offered from 8:30 am to 2:30 pm on each Friday of College for Kids. One of the new classes being offered this year is Music Composer’s Jam Session, where students will use software called Finale Notepad to compose original songs and pieces of music. Another new class is S.T.E.M. Studio, a spin-off of the S.T.E.A.M. Heat course for older students. This class option gives younger students an opportunity to use their creativity to build projects within a fun environment as they learn about all the components of Science, Technology, Mathematics and Engineering. Other classes include: Unleashed Life of Pets, Picture Yourself on Pinterest, Urban Legends Across the Globe, Superheroes and Beyond, App Attack, Minecraft, and more. Club CFK extends the day and accommodates working parents by offering activities for student participants following the final class session of the day until 5 pm. Club CFK features games, computers, and snacks from 3:15 pm to 5 pm. The cost to attend Club CFK is an additional $72. Students must be signed out by a parent or authorized adult no later than 5 pm each day. Tuition per class varies for each class based on instructional materials needed. Space is limited. Registration is available March 15 by phone at (309) 690-6900, or online at www.icc.edu/cfk. A complete listing of classes, descriptions and registration materials also is available online.